Cover Verse: Happy Birthday! 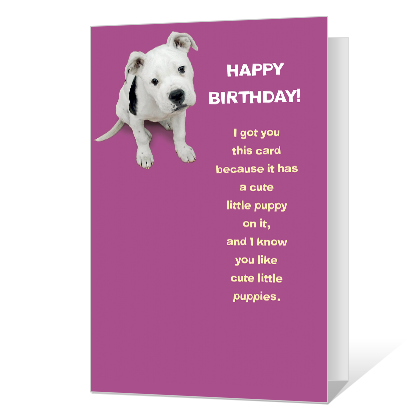 I got you this card because it has a cute little puppy on it, and I know you like cute little puppies. Inside Verse: That was pretty much it... so...I'm just gonna sign the thing now, okay?